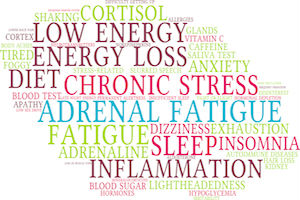 Symptoms such as unexplained fatigue, feelings of overwhelming stress, and a lack of normal strength and vitality indicate potential adrenal fatigue. This stress-related condition occurs when your adrenal glands, hypothalamus, and pituitary gland function at subpar levels. Consult with Dr. Jessica Cho of Wellness at Century City, who offers integrative medicine solutions that address both your symptoms and lifestyle to resolve adrenal fatigue. Patients can call the office or book an appointment online. The adrenal glands sit just above the kidneys and perform several vital roles in maintaining your health. They control your body’s response to stress by releasing hormones like cortisol, DHEA, and epinephrine. These hormones regulate your heart rate, immune system, and energy storage. Much of conventional medicine only recognizes adrenal dysfunction when it becomes dire, as in the case of Addison’s disease, an autoimmune condition in which the adrenals virtually cease all functioning. Eventually, the adrenals weaken so much that they just can’t respond in times of real need. These symptoms aren’t resolved by catching up on sleep. You may even awake after a solid night’s sleep feeling drained and exhausted. How does Dr. Cho diagnose adrenal fatigue? Dr. Cho evaluates your symptoms and lifestyle to determine if adrenal fatigue is a possible issue. She also orders a cortisol test, which may use saliva, blood, or urine to measure your levels of this hormone. The best cortisol tests take measures of the hormone over a 24-hour (or longer) period. Cortisol levels normally peak in the morning and then taper off as you approach the evening. The tests tell the doctor the size of your morning spike and the extent of taper. A cortisol level that never reduces or spikes in the evening indicates a possible adrenal issue. Dr. Cho can help you make simple changes to your lifestyle so that your adrenal glands have the time necessary to recover. Vitamins and supplements help enhance healing, too. She may recommend a vitamin-dense IV drip to deliver essential nutrients directly to your bloodstream. You may benefit from vitamins B-5, B-6, and B-12 as well as vitamin C and the mineral magnesium. Dr. Cho may also recommend you take probiotics, which help improve digestion so you can better absorb the nutrients in the food you eat. Certain herbal supplements also help in healing the adrenals, such as licorice root, maca, ashwagandha, and Siberian ginseng, among others.